"Dent is not of this world. It's fairy tale and who believes in fairy tales nowadays? It's a place of cobbles, of jutting gables, overhanging roofs, quaint alleys, wooden galleries and outside staircases." - A quote from Alfred Wainwright in his Pennine Journey. Dent is in Dentdale, a picturesque dale in the Yorkshire Dales. The Dentdale scenery is unique, created by the famous Dent Fault that has divided the Dale into two, leaving a typical Lakeland (younger) landscape to the West and a more rolling Dales-like (older) countryside to the East. Adam Sedgwick, the so-called father of geology, hailed from Dent, learnt from the fault and determined its origin. 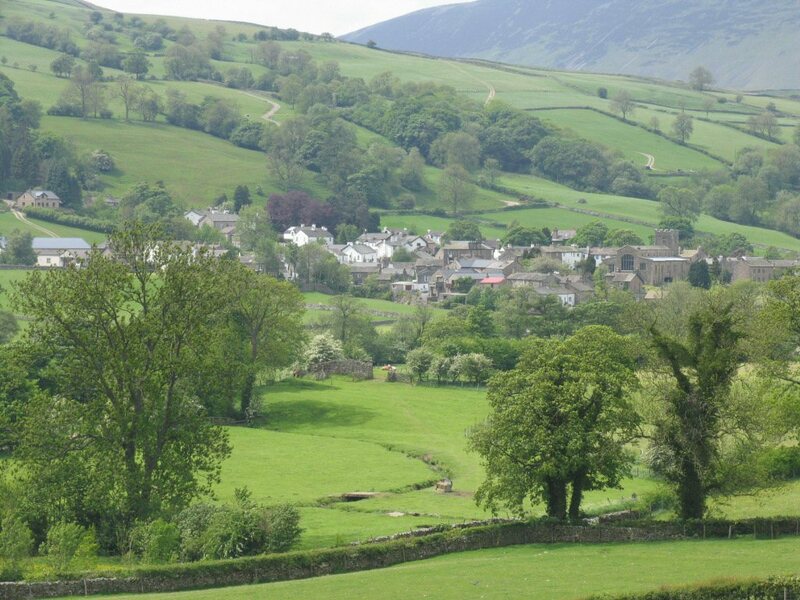 The actual Dent Fault can be found in neighbouring Garsdale about 2 miles east of Sedbergh. The Dentdale bedrock is limestone, which is eroded by water leaving potholes and caves. Many of these can be explored, but, please seek expert advice before doing so. As you walk along the river bank you will often see the water disappears from view only to reappear further downstream. This is due to water erosion of the limestone rock.